Have Harcourts One Contacts, Tasks and Properties at your fingertips when you’re out of the office. All you need to enjoy all the benefits of this boost in productivity is an iPhone or iPad plus Harcourts Mobile Agent software – tap on this link on your iOS device to install it. Mobile Agent is no longer available via the Apple App Store. eOne iPhone/iPad has mostly replaced Mobile Agent and the additional features such as advanced listings searches will come to eOne iPhone before Mobile Agent is retired in mid 2015. 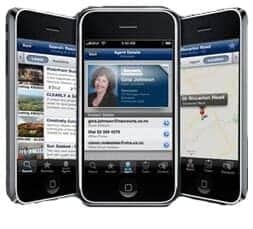 To use Mobile Agent, your device must be an iPhone 3G or above, or iPad or iPod Touch. Mobile Agent runs in real time so it only downloads what you need, when you need it.